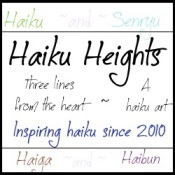 To celebrate National Poetry Month this April, Haiku Heights is hosting a month-long Haiku writing journey. This journey will take Haiku lovers through the alphabet one day at a time, with the first stop being the letter A! The prompt word today is Ascent. 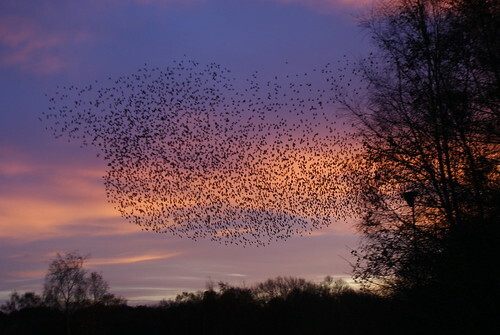 My inspiration came from an enormous Murmuration of Starlings that I am thrilled to watch as the sunsets over the carpark at Gloucester Royal Hospital each evening. It really is spectacular but most people are in such a hurry that they fail to look up to see it. This entry was posted in Cotswolds, Haiku, Natural World and tagged Haiku. Bookmark the permalink. Thank you, praise indeed and I appreciate it! I like the cloud of birds. Nice take on the prompt. Classic. Thar must have been lovely and inspirational. It does seem like the birds are bursting from the clouds! Lovely! It is an amazing spectacle x Nature is wonderful ~ not as choreographer in sight yet they all move as one!